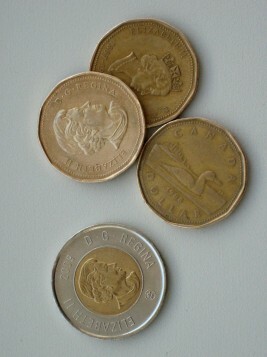 $5 Dollar Acupuncture on Sunday May 4th! On Sunday May 4th we will be hosting our 6th annual May Day celebration offering $5 Dollar acupuncture treatments in honor of May Day — International Workers Day. We will be joined by many other Community Acupuncture Clinics throughout North America. We’ll be offering treatments from 10 to 3 on Sunday May 4th. The event is for both new and current visitors to our clinic. Book your appointment early to be sure to save a spot, and tell your friends and family about this special event that honors the contributions of working people everywhere! UPDATE: We have had an enormous response to this event and are currently full for appointments on Sunday. If you are a new patient to hemma, and were hoping to come try us out, give us a call and we’d be happy to waive the $10 new patient fee if you book before May 12th! 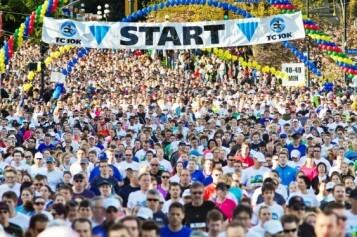 A reminder that this Sunday April 27th is the the Times Colonist 10K running race. If you are participating, we hope you have a fun day! If you are coming to hemma in the morning, and arriving by car, make sure to check the map on the TC 10K website to find the best route. The runners will be coming down Moss, right by hemma! All runners should have passed by 10-10:30 am. Easter Weekend – We are OPEN!! 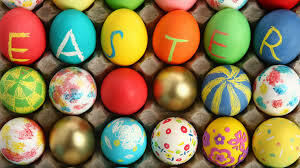 Easter weekend is just around the corner and we are OPEN! We know that many of you have a long weekend and more free time, so we are happy to be here to serve you. We have our regular schedule running for both Yoga and Acupuncture. Have a great weekend!